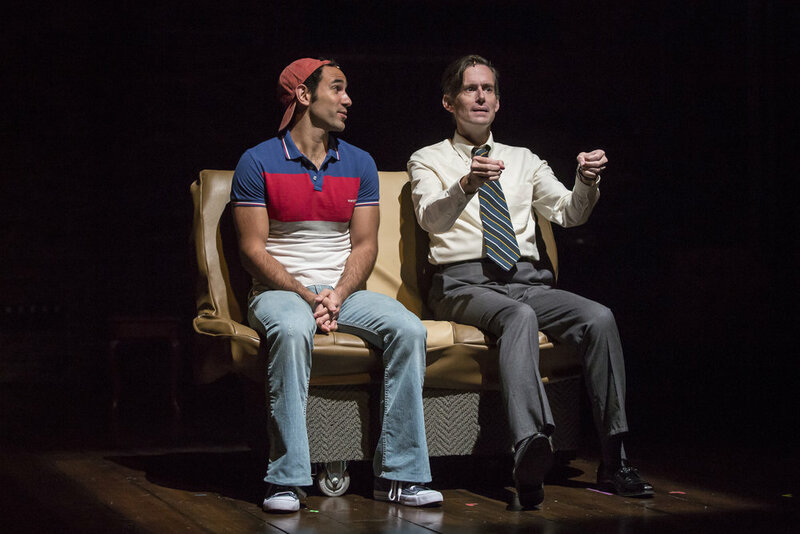 Fun Home has won five Tony Awards, and it’s not hard to see why. This autobiographical examination of graphic novelist Alison Bechdel’s growing up and coming out is both specific to her lived experience and emotionally relevant to anyone with a heart and a family. Even if you think you’re not usually into musicals, you’re likely to fall for this one. The music by Jeanine Tesori and lyrics by Lisa Kron gift the audience delightful, memorable songs. One hilarious number, “Welcome to the Fun Home,” sees the Bechdel siblings jumping out of a casket and performing an ad for their family’s funeral home (the nickname is the source of the show’s name)-- an ode to children’s ingenuity. Another, “I’m Changing My Major to Joan,” is a hilarious evocation of sexual awakening. The harmonies are lovely and the voices are spot-on. At one point, the vibratto of the cello in the live band perfectly mirrors the awkward tension and tumultuous feelings that go unspoken between Mr. Bechdel and Roy, a boy he likes. Adult Alison (Danni Smith) shines in “Telephone Wire”, a perfect embodiment of that same painful tension, when you say everything except what you need to. With smart music, a capable cast, and a deep dive into what it means to know our families and ourselves, Fun Home is both entertaining and acutely stirring. Victory Gardens Theater presents Fun Home, with music written by Jeanine Tesori, book and lyrics written by Lisa Kron and directed by Gary Griffin. Fun Home runs September 19 – November 12, 2017 at Victory Gardens Theater, 2433 N. Lincoln Avenue. Stella Rose Hoyt, Leo Gonzalez, Preetish Chakaborty. Photo by Liz Lauren. Hannah Starr. Photo by Liz Lauren. Joe Lino, Rob Lindley. Photo by Liz Lauren.